We’ve used our one-day proprietary approach, led by Warren Ellish, to successfully position hundreds of well-known brands for a diverse group of companies, from Fortune 500’s to startups and turn-arounds. Our positioning work includes global, domestic, regional and local brands across many industries. Warren is also a well respected faculty member at Cornell University, the Johnson Graduate School of Management, and an expert on brand positioning. 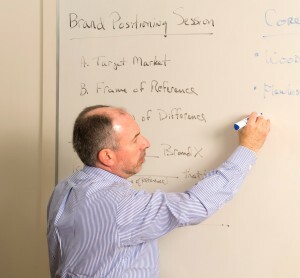 Where we can assist you is by starting with our proprietary one-day positioning methodology and working directly with you and members of your team to clearly state and communicate the core elements of a successful positioning for your brand. We will quickly and affordably help you to position your brand to effectively compete in today’s competitive marketplace. Click here and try this quick and easy exercise. You may be surprised by what you learn.